WooHoo It's Friday, Weekend Here We Come! Whew! What weather we have been having in NW Iowa! Rain...love it, but along with it comes lightning, hail, thunder, winds, and the usual stormy weather. Daytime has been cloudy, then sunny, then cloudy which leads to the darker clouds at night, and all of the other severe storm symptons. Wednesday we lost power during the night, and then Thursday night we were having some severe weather again. Things calmed down a bit so that I could get on the computer, and get my posting done on site for ya'll. 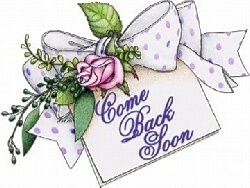 I hope everyone is surviving the weather where you are, and pray for those experiencing issues with tornadoes. They are in our thoughts, and prayers. 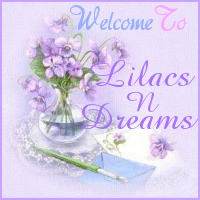 Thanks so much for sharing your time with LilacsNDreams everyone, and I hope to see ya'll again soon. Take care, and have a wonderful fun weekend!